First things first, FOOD! 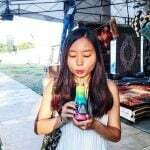 Nothing calms you down better than food for sure, especially if you’ve just been separated from your family. Some of Singapore’s local dishes are actually available at Aerotel Singapore! Here at the Library, located next to the reception area, you’ll find Slow Cooked Hainanese Chicken Rice amongst a variety of other snacks, perfect for a midday feast. The best part? If the food coma hits hard after your meal, you can head back to your room and jump into bed within minutes! After an incredibly satisfying meal at the Library, Violet went for a refreshing afternoon dip. Aerotel Singapore is the only airport transit hotel in Asia with an outdoor swimming pool, so it’s a definite must-visit. 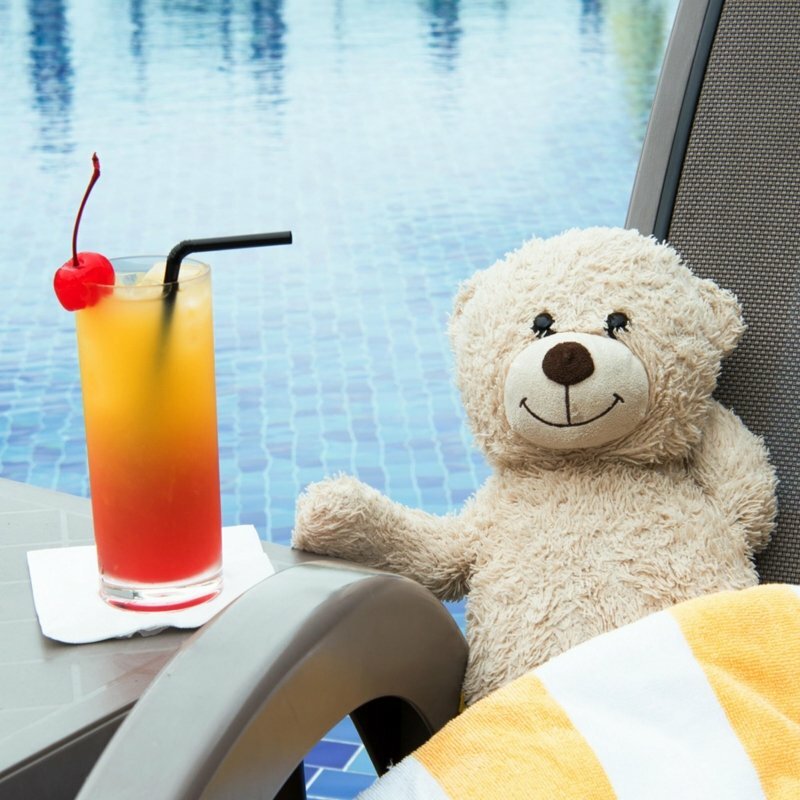 Soak up the tropical sunshine as you laze around on the deck chairs with a Aerotel’s Signature cocktail in hand – the Aerotel Sling – just like Violet! The pool is open to all Aerotel guests, but for non-guests, you can check out their "Swim, Eat, Tan, Run, Repeat" package. Complete with a jacuzzi and a poolside bar, you’ll never want to leave at all! Now, it was time to work off some calories after all that feasting! Aerotel Singapore has a fitness corner available for those who would like to squeeze in a quick workout. Grab those dumbbells and sweat it out, so you can feast on more local delicacies later! 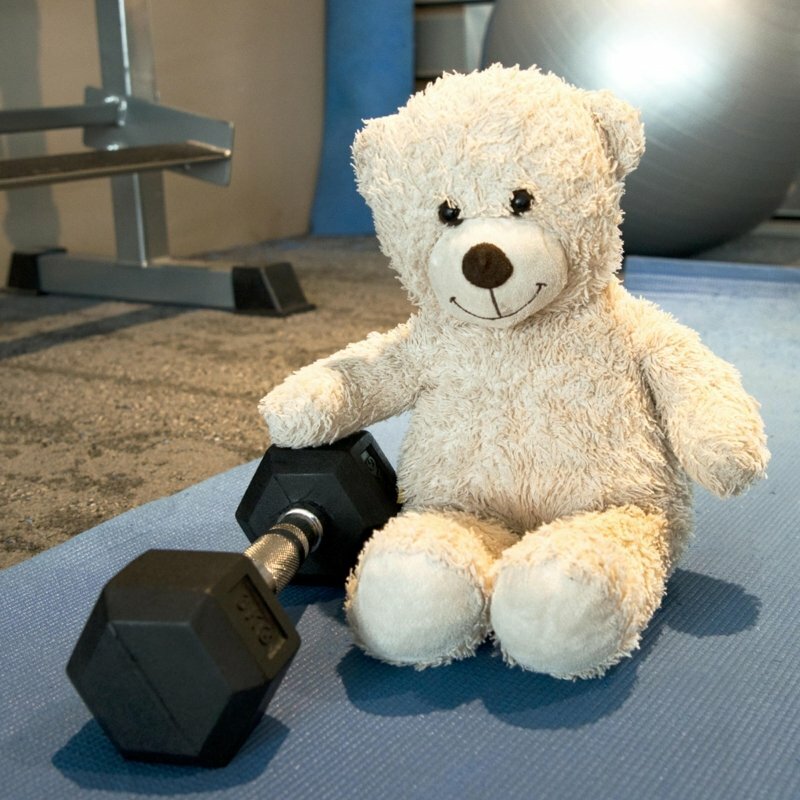 Working out also helps to minimize the effects of jetlag, so head to the fitness corner if you have time to spare. 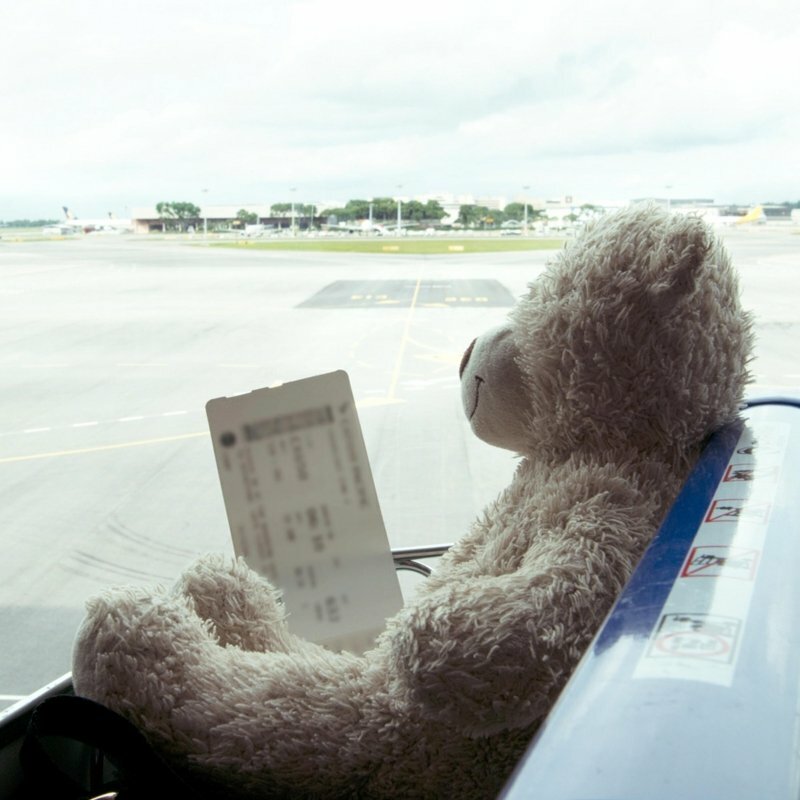 Seated comfortably on a trolley, Violet happily roamed around the departure area of Terminal 1. There’s just so much to see and explore! Aside from shops and eateries, Terminal 1 is also home to a rooftop Cactus Garden. Boasting more than 100 different types of cacti and arid plants from Asia, Africa and America, the garden is truly an eye-opener for anyone who visits. Violet made quite a few new friends at the next stop, the Plaza Premium Lounge! It was the best place for her to catch some rest or spend some free time. 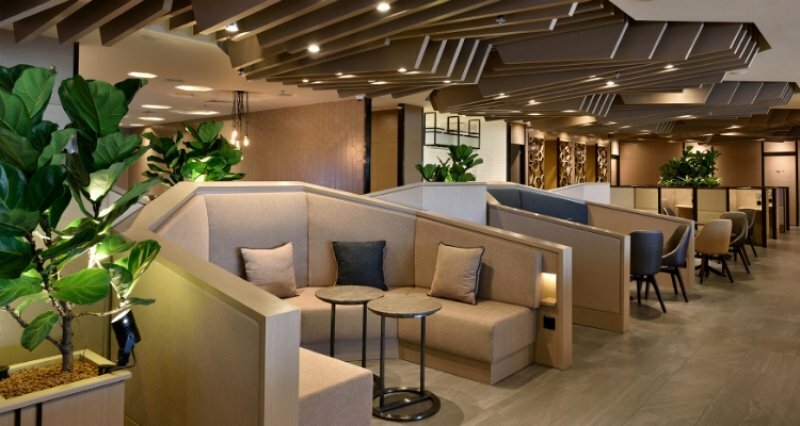 Located in the East Wing, Departure Transit Hall of Terminal 1 at Changi Airport, the Plaza Premium Lounge has over 140 seats, 3 napping rooms, 6 shower rooms with amenities, 2 VIP rooms and an exclusive wellness area for massages. Boasting a view of the airline strip, Violet enjoyed the view of planes taking off and landing. C omplimentary WiFi is available throughout the lounge! And if you’re in need of some entertainment — there are multiple cable TVs, as well as international newspapers and magazines for you to browse through. If you’ve just landed after a long-haul flight, collapse into one of these soft marshmallow beds and catch up on that much-needed rest at any one of the three private napping rooms. Each napping room comes with luxurious beds and a small workspace, should you need to get any urgent work done. For those with kids, the napping rooms are also the perfect place for them to take a nap in! 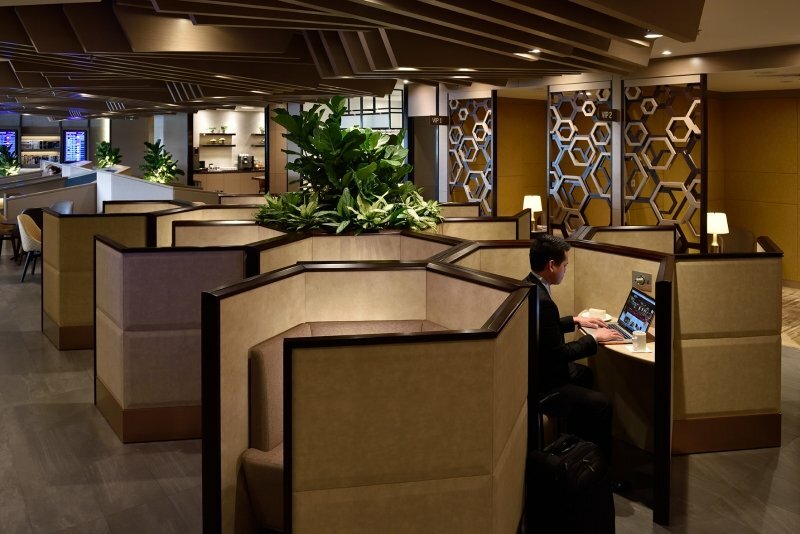 Alternatively if you’re simply looking for a conducive space to work on that important presentation or Skype with your colleagues, head on over to the lounge’s signature Honeycomb seating area. Plug sockets are available here (and also around the lounge), so you don’t have to worry about your laptop, tablet, or phone dying! These work pods will certainly increase your productivity and efficiency levels compared to hunching over a cramped table at the nearest Starbucks or McDonalds. All Priority pass holders and Dragon pass holders have complimentary access to the Plaza Premium Lounge. If you don’t have these pass memberships, Plaza Premium Lounge offers a special promotion - S$38 nett for 3 hours of lounge usage! What’s more: there’s also a wellness corner with three spacious seats, where guests may indulge in an organic spa treatment and massage. If you’re embarking on a night flight or long journey, soothing your muscles and letting your body rejuvenate beforehand is a great idea — you don’t want to go through uncomfortable body cramps up in the air! Afraid you’ll miss your flight? Fret not: the lounge lobby has your flight information and handles your baggage — they’ll make sure you get to your gate on time. That’s how the folks at Aerotel kept watch on the scheduled flight time for Violet! At Plaza Premium Lounge, guests get to choose between a hearty bowl of Singapore Laksa or a plate of classic Singapore Chicken Rice. Also available are Japanese noodles and hand rolls, which are made and served on the spot at the live cooking stations. And if you need a glass of wine to unwind before your flight, there’s a menu of beverages (including soft drinks, coffee and tea, beers, wines, and fruit juices) for you to choose from. Seems like Violet really enjoyed her sandwiches and apple juice here! After yet another satisfying meal, Violet even had the privilege of visiting the VIP room! With warm milk and a delicious cookie awaiting her arrival, she doesn't seem to be suffering much from homesickness. After a long fruitful day of adventures, it was time for Violet to freshen up and get ready for her flight back home. 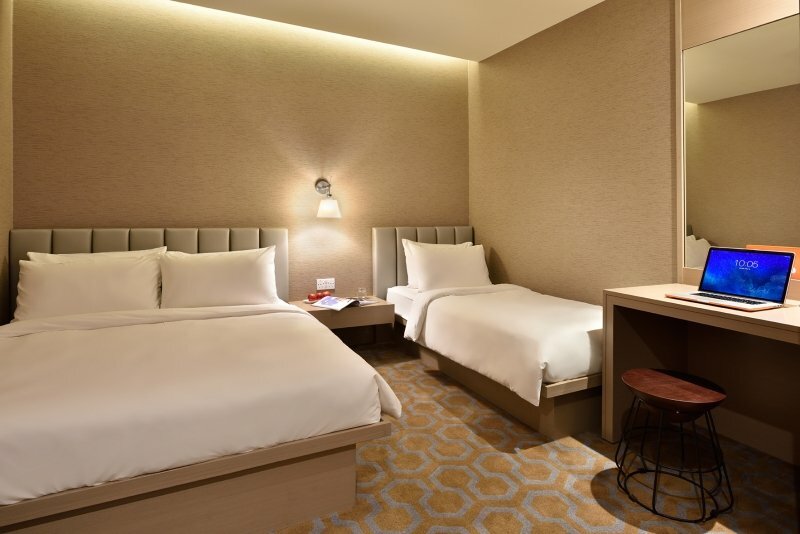 Aerotel Singapore provides fresh towels and toiletries in your room, so you can head to the shared bathroom just a few steps away for a quick shower. Only the Double Plus Room and Family Room have their own private showers. Doesn’t Violet look so radiant and rejuvenated after her shower? 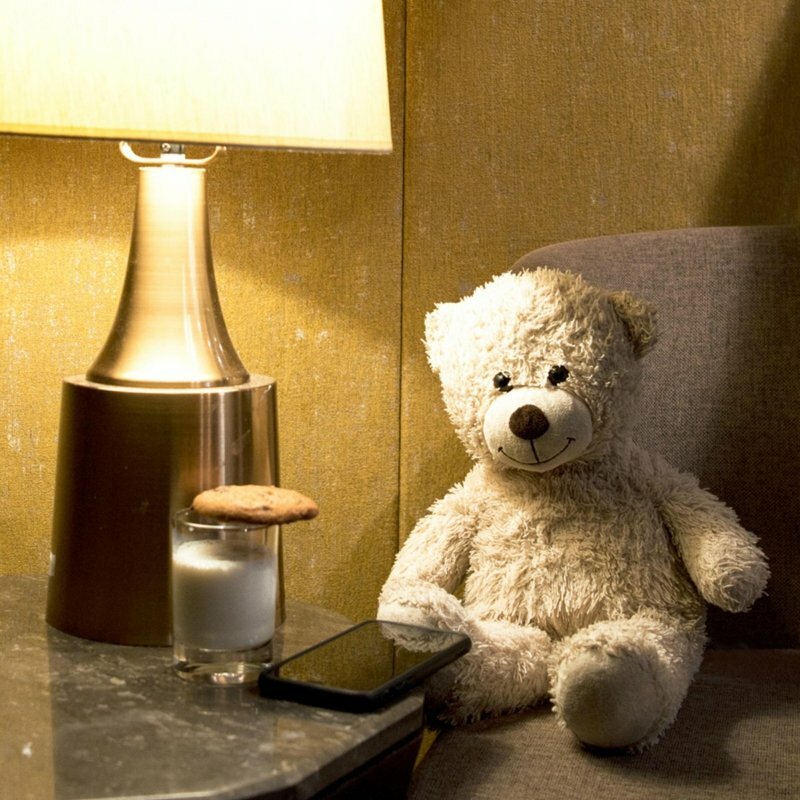 Feeling slightly tired from the whole day of fun and adventure, Violet spent her remaining hours napping at the Plaza Premium Nap rooms to catch some much-needed sleep before her flight back. Time flies when you are having fun, and soon it was time for Violet to catch her flight back home. She bade farewell to her new friends and left for her boarding gate. 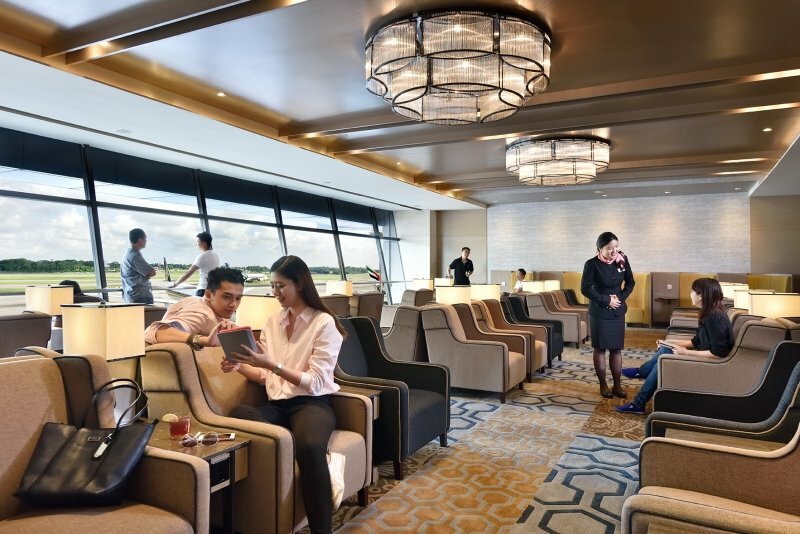 It might be goodbye for now, but both Aerotel Singapore and Plaza Premium Lounge will always welcome her back with open arms! Have a safe flight back to UK! Don't feel envious that Violet had the royal treatment with Plaza Premium Lounge, because we have something special for you. 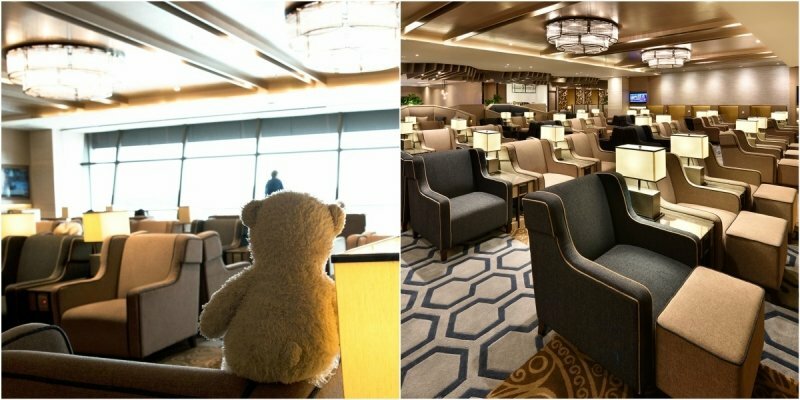 Plaza Premium Lounge is having a special promotion of S$38 for 3 hours lounge usage! If you have a Priority pass or Dragon pass, that’s even better, because you enjoy complimentary access to the lounge! 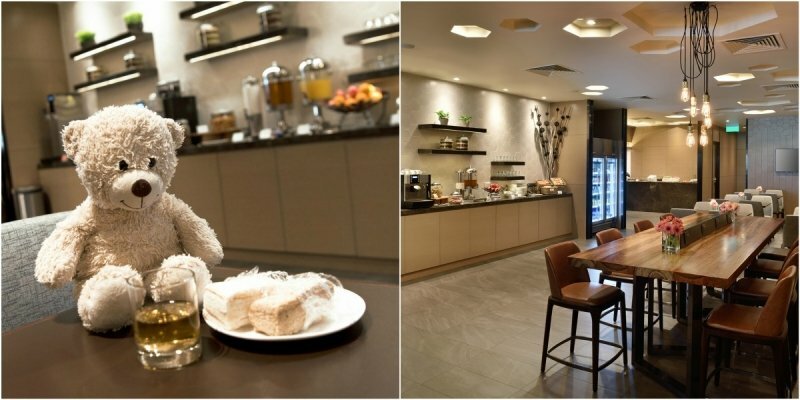 Treat yourself to a world-class airport lounge experience and thank us later. Brought to you by Aerotel Singapore.